Speaking of Goa Chief Minister Manohar Parrikar's health, senior state BJP leader Michael Lobo said that the 63-year-old leader is surviving on God's will and is "very unwell". 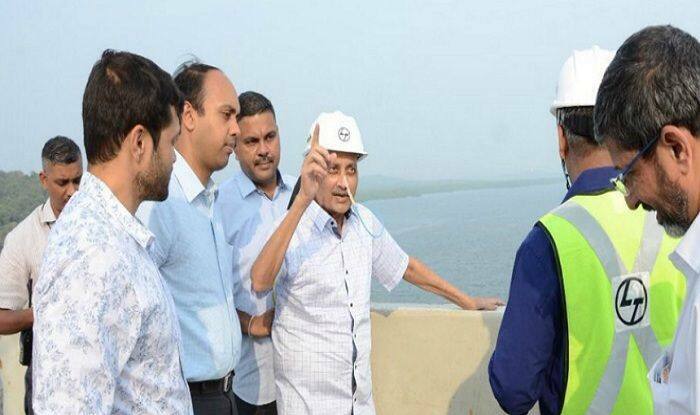 Panaji: Goa Chief Minister Manohar Parrikar, who is currently admitted in New Delhi’s All India Institute of Medical Sciences (AIIMS), is “very unwell” and is “living” with God’s blessings, said Deputy Speaker of the state Assembly Michael Lobo. Speaking to reporters here on Monday, Lobo said that the day Parrikar steps down from his position as the chief minister, the state machinery will plunge into nothing short of a political crisis. Parrikar (63) has been battling pancreatic cancer for over a year now. He has been in and out of hospitals in Delhi, New York, Mumbai and Goa since. “He is still living and working with God’s blessings,” he added. Parrikar, a former defence minister, tweeted a spirited message on World Cancer Day, on February 4, exuding confidence that “human mind can overcome any disease”. Parrikar heads a BJP-led coalition government in Goa, which is supported by the Goa Forward Party (GFP), the Maharashravadi Gomantak Party (MGP), and three Independent MLAs.